Dental Surgery Woodbury: Do You Need a Root Canal? Have you ever had that sinking feeling that comes from the sudden realization that you have a toothache? It seems like it can come out of nowhere. You’re enjoying a relatively normal day at the office, so you head out to lunch at your usual time and grab your regular meal. As you sit down to eat, you take a bite and that’s when the pain hits you. “Huh…was that a fluke or is there a problem here?” You take your next bite, being careful to chew gently. It still hurts. What’s a person to do? Of course for many people, the fear of having to get a root canal starts to creep in pretty much immediately. Why is that we always assume that a toothache means that we’re going to need some sort of dental surgery? That’s a good question, but at the end of the day the best thing to do is simply to schedule an appointment with your dentist. If experience has taught us anything it’s that it’s always best to make a trip to the local dental clinic at the first sign that there might be a problem. After all, it could end up being nothing, but it always pays to make certain. At Corsi Dental, our goal is to lend a helping hand at the first sign of trouble. More often than not, if you have dental pain and you come in to see us it’s easier to deal with the issue now than have it cause a bigger problem down the road. 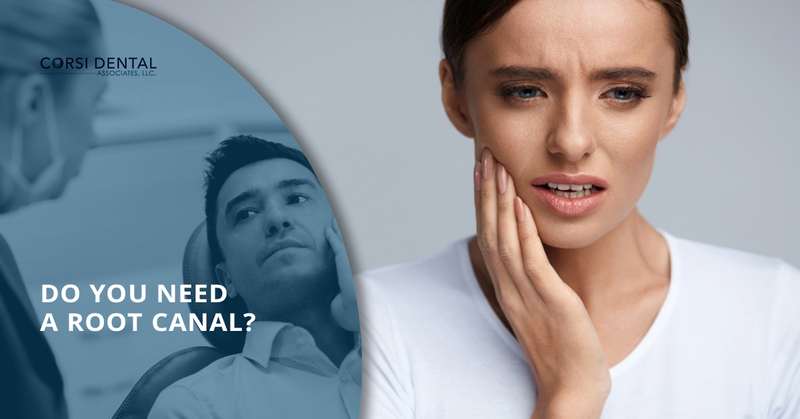 If you have pain in your tooth or gums, tenderness when your tooth is touched, swelling in your lymph nodes, or an abscess near your tooth, it’s a good sign that it’s time to see us. Do any of these things mean that you’ll absolutely need to get a root canal? Not necessarily, but as the old saying goes, better safe than sorry. No matter the situation, if you’re in need of a dentist in Woodbury, the team at Corsi Dental Associates is here to help! 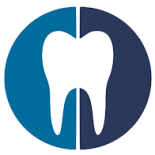 Whether it’s tooth removal, dental implants, or even a root canal, we can handle it all here. We have plenty of experience in all forms of dentistry and the we’ll be here to greet you with a smile. We know just how stressful a trip to the dentist can be, and that’s why you can count on us to put you at ease during your visit. There’s no doubt about it — dealing with a toothache is no fun. We know that and we’ll go above and beyond to make sure that you’re comfortable. Whether you need to schedule a checkup or you’re dealing with an issue and you want to visit a dental clinic that you know you can count on, we’d be glad to take care of you! Schedule a visit today and rest assured that you’re in good hands. We look forward to hearing from you.